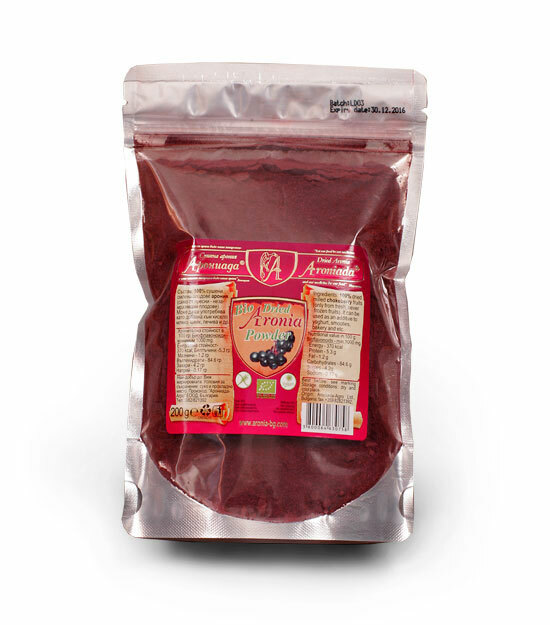 The Aronia powder is a special `` 100% pure product`` from the seeds, husk and pulp of the fruits chokeberry by special technology. No additives, No preservatives, No sweeteners or colors. 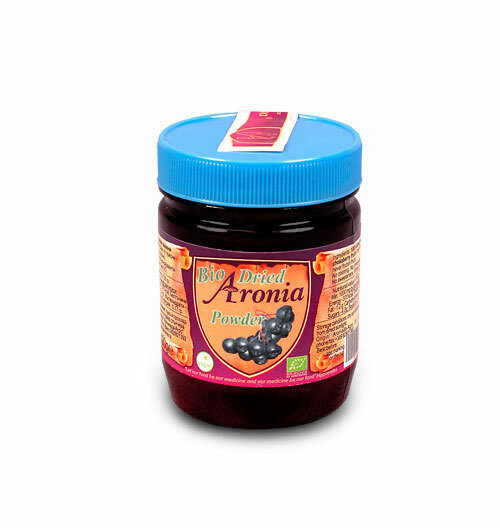 The Aronia powder is a special “ 100% pure organic product“ from the seeds, husk and pulp of the fruits chokeberry by special technology. No additives, No preservatives, No sweeteners or colors. It contains a very large amount of bioflavonoids – at least 1000 mg / 100 g.
It has a strong antioxidant effect. Strong immune booster. A great addition to a healthy fruit smoothie. Mixed with real Bulgarian yogurt and honey is a healthy and delicious dessert. You can add it to homemade baked things(cookies, cake, cakes, etc.) As a natural coloring agent and a source of bioflavonoids. Handmade chocolate with added chokeberry is a delight to the senses of the chocolate lovers. In the cold winter mornings, warm tea with honey in chokeberry lemon has a tonic effect. Usage: 1-2 tablespoons to 1 serving (250 ml).